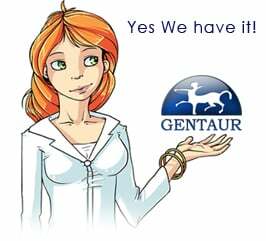 Gentaur antibody-antibodies.com The Marketplace for Antibodies : Proteomic analysis of SET-binding proteins. Proteomic analysis of SET-binding proteins. The protein SET is involved in essential cell processes such as chromatin remodeling, apoptosis and cell cycle progression. It also plays a critical role in cell transformation and tumorogenesis. With the aim to study new SET functions we have developed a system to identify SET-binding proteins by combining affinity chromatography, MS, and functional studies. We prepared SET affinity chromatography columns by coupling the protein to activated Sepharose 4B. The proteins from mouse liver lysates that bind to the SET affinity columns were resolved with 2-DE and identified by MS using a MALDI-TOF. This experimental approach allowed the recognition of a number of SET-binding proteins which have been classified in functional clusters. The identification of four of these proteins (CK2, eIF2alpha, glycogen phosphorylase (GP), and TCP1-beta) was confirmed by Western blotting and their in vivo interactions with SET were demonstrated by immunoprecipitation. Functional experiments revealed that SET is a substrate of CK2 in vitro and that SET interacts with the active form of GP but not with its inactive form. These data confirm this proteomic approach as a useful tool for identifying new protein-protein interactions.